LinkedIn just added voice messaging to its platform so you can have more ways to have conversations. The voice messaging feature is now available as an Android and iOS app. You can retrieve the messages on your mobile device or on the web, but as of now, you can’t send a voice message from a LinkedIn website. 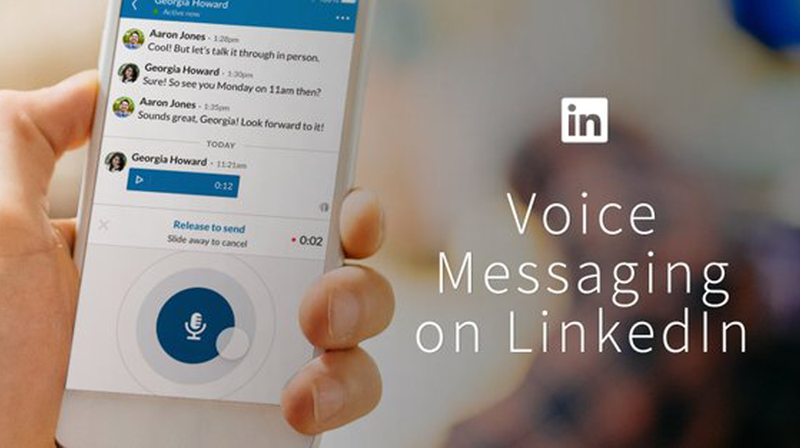 So will LinkedIn bring voice messaging back from the brink of death? Voicemail or messaging is not officially dead, but texting now makes up a large percentage of business communication. Even when people use voice messaging, they have it transcribed on their smartphone or computer so they can read the message. Considering “People speak about four times faster than they type” as Hendlin explains, the case for leaving a quick message makes a lot of sense. After all, you might not be able to type and if you are able to type you have to go back and edit the message to make sure you don’t have any typos. The process consumes more time than just saying what you need to say quickly. And the message has to be quick because you only have one minute to say what you need to say. The time limitation might be a stroke of genius on the part of LinkedIn, because who wants to listen to a long-drawn-out message? As to why you should use voice messaging, LinkedIn says it makes it easy to message on the go, it allows recipients to get to the message when they can, and you can better express yourself by speaking in your own voice. If you want to leave a message, all you do is tap the microphone icon in the mobile messaging keyboard, tap and hold on the microphone in the circle to record your voice message, and release your finger to send it. Canceling the message is just as easy. Slide your finger away from the microphone icon while holding it down and the message will not be delivered. Since the purchase of LinkedIn by Microsoft, the company has grown and added new features. It now has 562 million users in 200 countries and territories around the world. It recently added translations in the LinkedIn feed so you can keep in touch with users around the world. And if you want to quickly connect with someone at an event, LinkedIn QR code lets you find a profile, connect and stay in touch. This means no longer having to ask for a business card, email address, contact information or how to spell a name. If you want to let your co-workers, partners or business colleagues know how much you appreciate them, LinkedIn Kudos lets you send a quick message in 10 different categories. Other new features include Your Commute, LinkedIn Video, LinkedIn Search and more.